Even when buyers understand the importance of having a survey of the property they are purchasing, it can often be difficult to know which type of survey is the most appropriate. Generally speaking, the condition of new or nearly-new homes can be covered in a Condition Report, while properties that are a little older (but still constructed using conventional techniques and materials) require the level of detail found in a HomeBuyer Report. Comprehensive Building Surveys offer the most thorough investigation into the structure and condition of a property and are especially appropriate in a number of circumstances. Compare surveys here. Properties that have been identified as having local, regional or national significance are subject to specific rules that make a Building Survey essential. For example, any modifications to the structure or character of the building have to be given approval from the local Conservation Officer. Failure to obtain this is a criminal offence and the owner can be prosecuted and face severe penalties – even if a previous resident was responsible for the work. Fortunately, a Building Survey and experienced solicitor will be able to confirm whether Listed Building Consent has been obtained in these instances, so you won’t need to worry. Modifications may also be an issue even if you are not buying a heritage property. Buildings are rarely designed to accommodate extensions or conversions, meaning that there are often issues where old and new materials converge. If extensive changes have been made to the original structure, or if there is an age difference of several decades between two parts then a Building Survey is recommended to assess the integrity of the seams. Other types of report, such as the RICS Condition Report or HomeBuyer Report simply will not afford a surveyor enough time to adequately inspect a larger property. By commissioning a comprehensive Building Survey, your surveyor will be prepared to spend several hours on-site to conduct a thorough investigation. If you are not sure about whether the property you are looking to buy is large enough to warrant a Building Survey, simply contact us to discuss the details. At Gowers Surveyors, it’s important to us that our clients are always completely satisfied with the service we provide, so you can be confident that the type of survey we recommend is the one most appropriate to the building you are buying. There is no strict rule about how old a house has to be before a Building Survey becomes more appropriate than a HomeBuyer Report. All building materials will deteriorate over time and properties built as recently as the 1960s can be suffering from structural weaknesses. However, in our experience, buildings that are over a century old usually have a considerable range of defects that can only be properly uncovered with a comprehensive Building Survey. 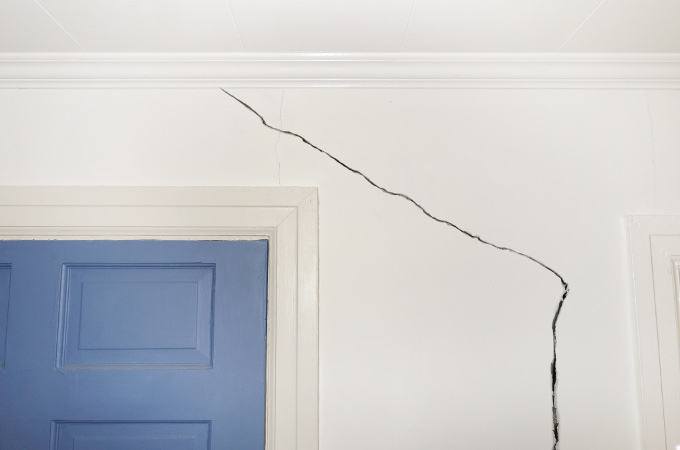 Even if the condition of an older property appears to be sound, the expert eyes of a surveyor will be able to detect small symptoms of underlying issues and provide reasoned speculation about problems that may be occurring in areas that are obscured or inaccessible. This is one reason why it’s important to hire a surveyor with experience in the type of property you are purchasing. An added benefit of the Building Survey is that you will receive information about how to maintain period features or construction techniques that would not be available with a simpler report. Less intensive reports are suitable for uncovering structural problems that may have been overlooked by untrained eyes. If there are noticeable issues in a building of any age, such as damp patches or softened timbers, then you should commission a Building Survey. It is the only investigation that will help you understand the best methods of repair and the level of urgency required. For more information about comprehensive Building Surveys or to arrange one for a property you are about to buy, please contact us for assistance and a free quote.